An ongoing Capitol drama over the fate of the House chaplain escalated on Thursday, with Rev. Patrick Conroy rescinding his resignation in a sharply worded letter to House Speaker Paul Ryan. In the letter, Conroy, a Jesuit priest, suggests bias against his Catholic faith, alleging that Jonathan Burks, Ryan’s chief of staff, said, “Maybe it’s time we had a chaplain that wasn’t a Catholic” during an April 13 private meeting in which Burks informed Conroy that the speaker was seeking his resignation. Ryan is a Catholic, and his office has denied allegations of bigotry in his decision to force Conroy out of the job he has served in since 2011. The House chaplain is reappointed at the start of every two-year congressional session. The speaker’s office did not immediately respond to NPR’s request for comment. Earlier this week, Ryan discussed his decision to fire Conroy at a conservative summit hosted by The Weekly Standard. He has criticized Conroy’s ministry without offering any detailed explanation. Conroy decided to rescind his resignation “upon advice of counsel” because he questioned whether Ryan has the authority to fire him without cause, and he pushed back at the allegation that his ministry to the Capitol Hill community was lacking. “In fact, no such criticism has ever been leveled against me during my tenure as House Chaplain. At the very least, if it were, I could have attempted to correct such ‘faults.’ In retracting my resignation I wish to do just that,” Conroy wrote. House Democrats seized on the firing last week and attempted to force an investigation into Conroy’s ousting, but their procedural gambit was defeated on the House floor. 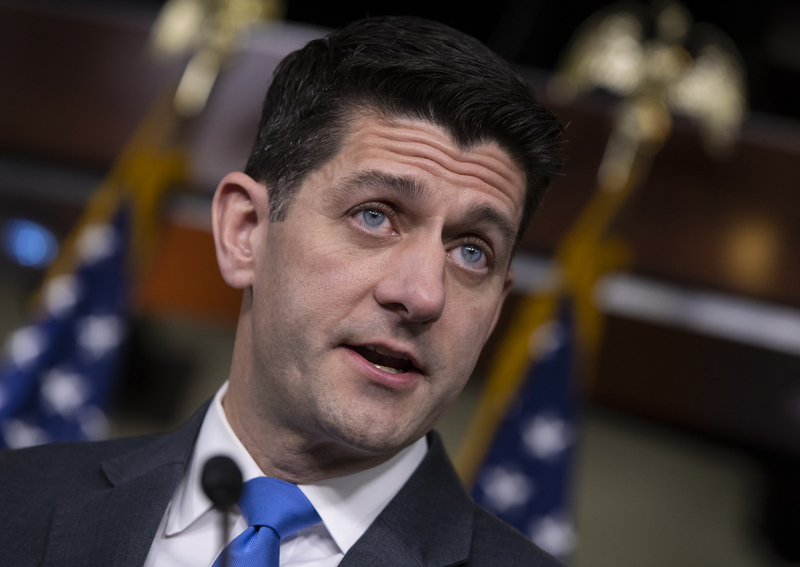 Some Catholic Republicans, including Reps. Peter King of New York and Walter B. Jones of North Carolina, have joined with Democrats to raise questions about the speaker’s decision to force out Conroy. Walker walked backed those comments, but withdrew himself from the selection committee to find a new chaplain over the weekend. The House chaplain is a constitutional officer of the U.S. House, a group of officials that includes the House clerk, the sergeant-at-arms, and the doorkeeper for the chamber. They all earn $172,500 annually and enjoy many of the privileges awarded to current and former lawmakers, including pensions and access to the chamber floor. In his letter, Conroy asserts that he he had no choice but to quit when asked for his resignation in April, but that he now believes he can’t be fired as a House officer unless it is for cause — a move provoking a possible showdown with the speaker. Conroy says he intends to serve out the remainder of his term through this Congress, and asked the speaker to recognize his letter no later than May 12. Congress is on recess this week, but returns Monday.